Indie outfit Buffalo Sunn have returned with a brand new single and music video, Idle Man. The groups first new material since the release of their debut album By the Ocean, by the Sea, Buffalo Sunn take a distinct alternative-country tinged into their sound. A propellant beat, twanging guitars and large choruses gives ‘Idle Man’ an uplifting feel that throws hooks and melodies at you as with self-confidence and ease. Lush production and intricate songwriting are the hallmarks of Buffalo Sunns music and ‘Idle Man’ is no different. The great writing and melodies of Idle Man with Americana guitars and chugging train track rhythm, pulls you along the tracks, right into the station. They spent months in the studio rehearsing, writing and recording in the Sunset Sound Recording Studios, LA, with renowned American producer, Jo Chiccarelli (8 Grammy awards; Beck, The White Strips, Morrissey). The recordings were mixed by Maxime Leguil (Radiohead, Morrissey, Hans Zimmer). Buffalo Sunn comprises Daniel Paxton, songwriter, guitarist and lead vocalist, his brother Conor on bass and pedal steel guitar, Patrick McHugh on guitar and backing vocals, Jimmy Cullen on keys and backing vocals, and Donagh O’Brien on drums. They incorporate sounds from the 60’s right up to the present day, mixing big reverb- laden harmonies with carefully placed guitars to take the listener on an epic journey through their songs. Evolving in October 2013 from the ashes of Sweet Jane, with a change in musical direction, style and line-up they became Buffalo Sunn. Their debut album, By The Ocean By The Sea, was released in Ireland in October 2014, to great reviews and a top 15 chart position. It was produced by Pat McCarthy (The Waterboys, REM, Madonna, U2). By The Ocean By The Sea was released in Germany, Austria and Switzerland on 30th January via Rough Trade Distribution/Brainstorm. Buffalo Sunn have gained a reputation for being a formidable live band, noted for their three part vocal harmonies, with inventive guitar and percussion. 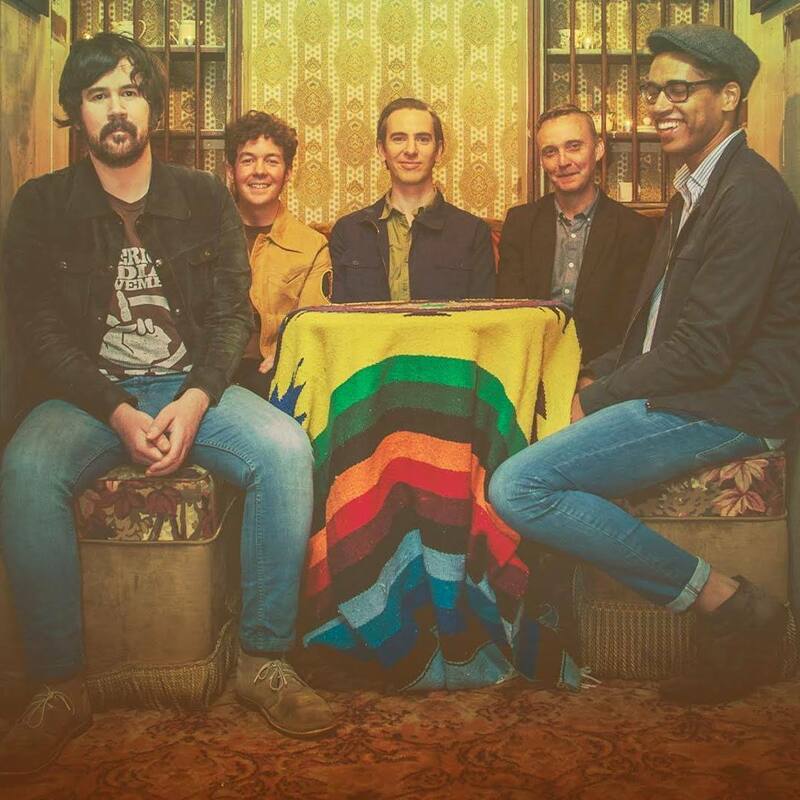 Channeling that West Coast sound ‘like a punked up Crosby Stills and Nash’ (as one Asian journalist noted ) they mix melody and guitar attack with superb effect, with songwriter, guitarist and vocalist Daniel Paxton masterminding the band’s sound superbly. They have opened for a host of international acts under their previous moniker Sweet Jane, and now with their harmony drenched sound Buffalo Sunn are no strangers to the festival circuit having played CMJ, Music Matters in Singapore, and Hardworking Class Heroes as well as performing at Ireland’s biggest festivals Oxegen and Electric Picnic. Buffalo Sunn found an enthusiastic audience for their music on their last three US tours where they played high profile shows for companies like Yahoo and Delottie, top venues at festivals including SXSW, CMJ and MUSEXPO, played at Electric Picnic for the third consecutive year and did a successful West Coast tour incorporating live shows sponsored by radio. They were recently picked to perform at Bank Of Ireland’s ‘Backing Emerging Irish Artists’ show and had tracks from their debut album featured in adverts for General Pants Co. and Visit Dublin by Failte Ireland. This band is definitely one to listen out for!